‘Ducati’ the most prestigious and trustworthy bike maker delights us every time with all the potential and beautiful models. 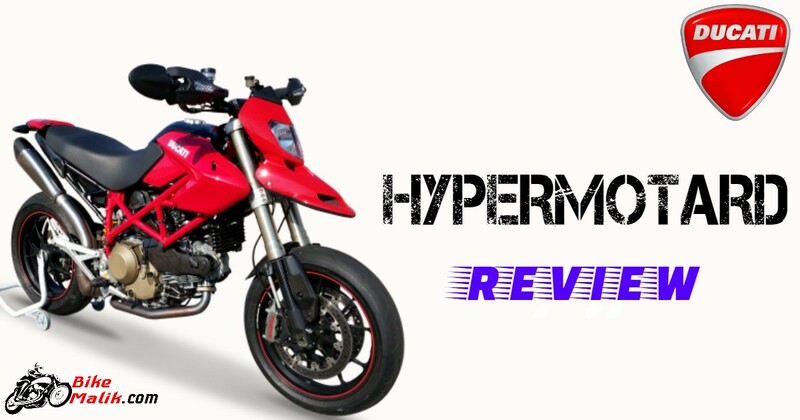 So now, a new model with nameplate ‘Hypermotard’ gets debuted in India to deliver the power packed performance along with aesthetic design language. So we are going to witness the mighty performance in Indian roads. Come let’s have a look. The so-called powerful bike draws all the power from an 821.1cc, Testastretta 11° L-twin, a liquid-cooled engine that produces a high power of 110 bhp @ 9250 rpm with a peak torque of 89 Nm @ 7750 rpm. The Magneti Marelli electronic fuel injection system works effectively in accordance with the above-said engine. While the 6-speed constant mesh transmission unit with wet multiplate slipper clutch set-up provides good gearshifts by reducing the unwanted engine breakdowns. Hence, gearbox duties are fulfilled efficiently. 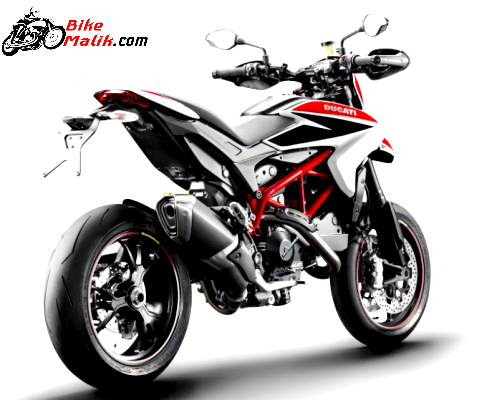 With the impeccable output figures, Hypermotard returns a mileage figure of 14 km/l (approx). Ducati never disappoints us regarding the design and styling of the bike. 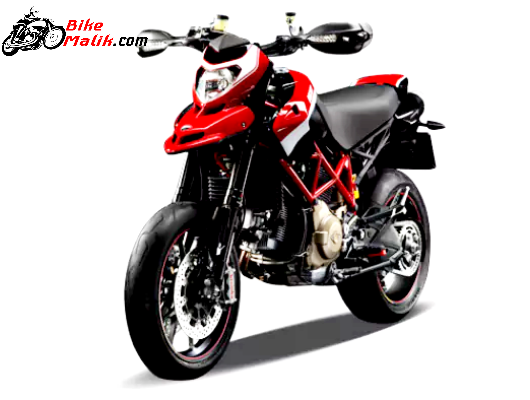 So, the Hypermotard is one such model that carries all the quality, sturdy, and reliable, elements that mesmerize us. The bike was built on a tubular steel trellis chassis, that appears to be robust and premium. As of the front, the bike boasts a stylish headlamp unit with a highly raised fender, which gives elegant stance to the bike. The turn indicators housed on the handlebar guards gives good communication to the bike and also nice styling element to the bike. The robustly build 16-liters fuel tank enhances the riding posture of the biker and also exhibits the muscular appearance of the bike. While the rear gets an astounding tail lamp unit that shows the artistry of the bike. The stainless steel muffler unit with two lambda probes, take the appearance to the next level. The motorcycle comes with a wheelbase of 1500 mm offering good stability and handling features to amuse the rider. It has a sharply designed fuel tank with a storage capacity fuel tank and a total kerb weight of 198kg. The digital instrument cluster displays useful info regarding speedometer, tachometer, trip meter, temperature gauge, fuel gauge, average speed, average fuel consumption and telltale lights. 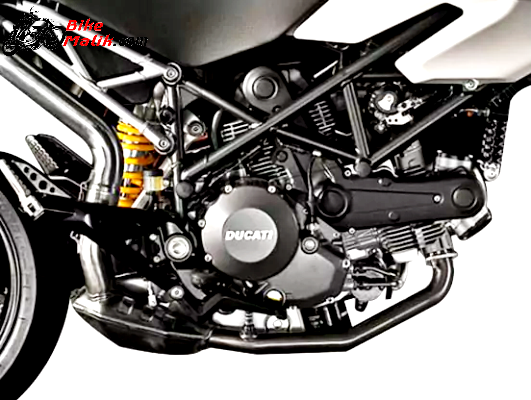 Ducati is not only known for producing plusher and performance oriented models but also for the level of comfort they provide is also the most talkative category on the bike. To give better handling capabilities in all tarmacs, it boasts the SP 120/70 ZR17 tyre at the front and SP 180/55 ZR17 rear tubeless tyres that get wrapped in black alloy wheels. These sturdy alloy wheels get fitted to a Pirelli Diablo Supercorsa tyres which ensure better grip on all tarmacs. To stop the power packed performer, it gets a 320mm dual disc brakes with Brembo 4-piston calliper at the front and 245mm disc brake with twin-piston callipers at the rear, give smooth braking mechanism with appropriate application of the bike. For further assistance, it gets a Bosch 9MP ABS (Anti-Lock Braking System) to give better stability under on roads. To provide stress-free drives to both the rider & pillion, the Marzocchi 50mm fully adjustable upside-down shock absorbers at the front and progressive linkage with Ohlins mono-shock at the rear. Hence, the suspension setup works well to ease the occupants in bumps, potholes, and uneven surfaces. 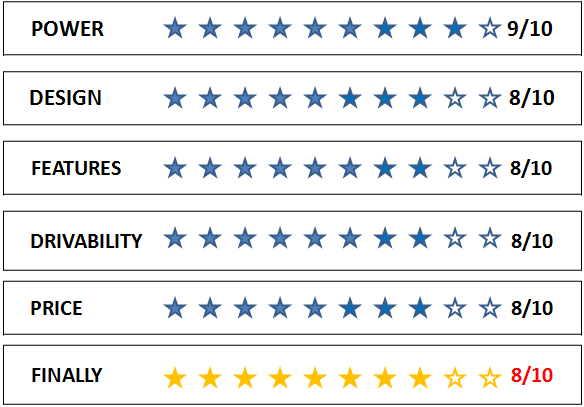 Safety as a primary concern, the bike maker employed top-class features to ensure safety rides. 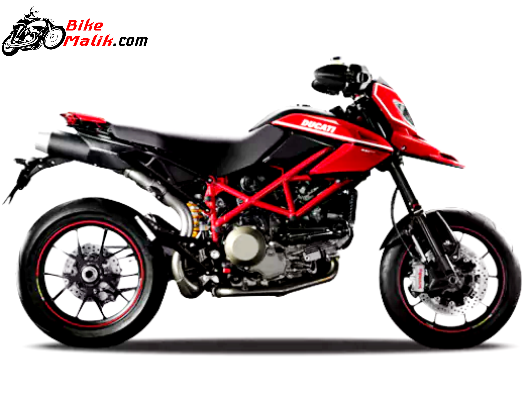 The features that serve safety duties to the seaters are Ducati Traction Control (DTC) to reduce unwanted skidding, an advanced Bosch 9 MP ABS system for better braking, 3-riding modes to give the adorable riding experience. These top-class features make the Hypermotard a standout model in the crowded adventurous models. With all the handily performance and premium design the bike costs at a range of INR 10 – 19 lakhs (ex-showroom, Delhi). Please make a way for the splendid model that surely draws the attention of the auto market and motor enthusiasts. The impeccable output figures with high-end features and top-level comfort, make the Hypermotard an alluring model in the Ducati Portfolio.